With beautiful Asian-inspired architectural design, Apogee condo has gained a reputation as the most luxurious condo in South Beach. This 22-story South of Fifth condo may have sky-skyscraping condos all around it, but it’s overshadowed by none when it comes to luxurious design and amenities. 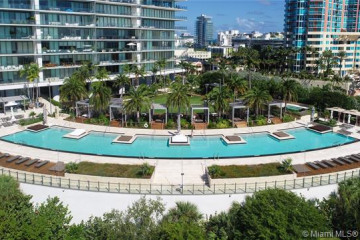 The Apogee South Beach is designed to optimize both layout sizes inside the condo and balcony space on the outside. This condo’s spacious layouts and oversized balconies allow for incredible amounts of living space in its 67-units. 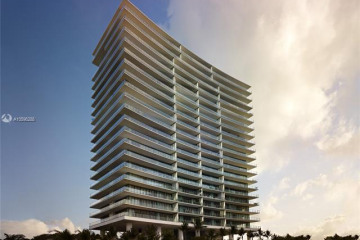 The Apogee South Beach condo’s awe-inspiring architectural design mixed with its resort-style amenities makes for the ideal South Beach beachfront living experience. The Apogee South Beach condo has stylish residential features which include designer kitchen cabinetry, brand-new appliances, midnight kitchen in master bedroom, gas fireplace, elegant master bathroom, ten-foot ceilings, floor-to-ceilings, keyless door entry, smart panel technology and pre-wired communications. Amenities for Apogee are lavish and assist in a high-quality of life. Amenities for Apogee are designer common areas, private enclosed parking areas, elegant and exclusive main lobby, state-of-the-art fitness center and spa, Infinity-edge swimming pool and outdoor party pavilion. Miami Beach condos have maintained a high level of popularity for decades because of their great locations and incredible luxuriousness. 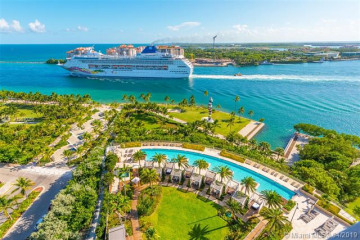 While some condos have more amenities than others, Miami Beach waterfront living remains an equal privilege for Miami Beach residents. 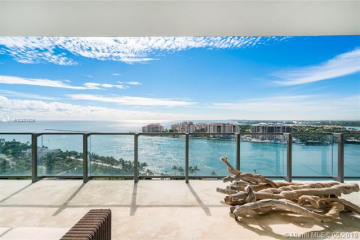 Whether the Miami Beach condo has a waterfront location on the Atlantic Ocean, Biscayne Bay or south of Fifth Street, Miami Beach condos adhere to a level of luxury that makes them more like resorts than just condos. Miami Beach is also known for having incredible malls, fine dining and other great attractions.